DYNASYS uses various technologies to make High Speed Internet Access service available to hotel ( Rooms & Public Area ) guests by Wired category 5e/6 structured cabling systems (Ethernet) and wireless networks. Internet is now an essential service. Business travelers and vacationers have a need to stay connected. Today's consumers are increasingly tech savvy and value their time more than ever. Offering them a means to productively use their time during their stay at your property, shows how much you value their time and business. DYNASYS server allows the computer / laptop , whether it is configured, to work in a DHCP or Static IP environment. The system also features SMTP redirect and auto detection for client computers possible PPTP and IPSEC protocols, which are quickly becoming more widely used as VPN (virtual Private Network) become more common. With a true plug and play solution, with customized login page. 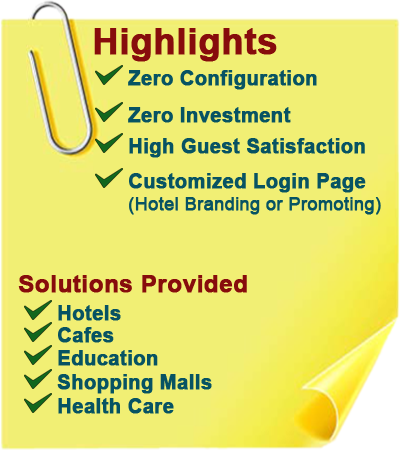 Hotel can do promotions and run advertisement in the login page. Local Area Networks which are built for a group of users within an organization such as in an office building. Using Ethernet Cat 5/5e/6 cabling, DYNASYS networks deliver back-to-back 100 / 1000 Mbps network speeds which support a wide range of applications in a reliable manner. DYNASYS's wireless network is compliant to industry standard IEEE 802.11 and built on access points. DYNASYS's access points act like a hub, providing connectivity to wireless computers. It also connects (or "bridges") wireless LAN to a wired LAN, thereby allowing seamless connectivity of wired and wireless Internet access services. •	The DYNASYS Solution separates guest network and hotel LAN/WLAN. •	VLAN technology prevents guest-to-guest direct connection. VPN platforms and new ones are being added. •	Monitoring and reporting in various levels. Protel, WinHMS, IDS, SHAWMAN PMS, etc. 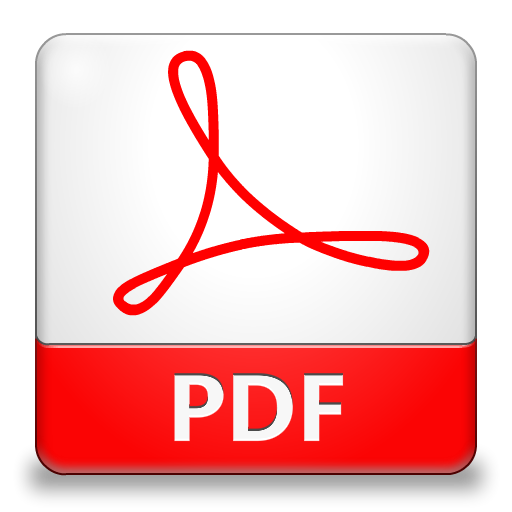 •	PMS link provides facility to post charges directly to the guest folio. •	Provides automatic check in, check out and room transfer features. • When guest launches the browser, the guest will be redirects to authorization screen. allowing guest to browse the internet till the guest is authenticated.